Maria Magana went to Texas this weekend and came home with a gold medal! Maria, who was promoted to purple belt just a few weeks ago, competed at the IBJJF Houston Open and took home first place in her division. Maria is planning on a busy competition season, competing this year in Houston, Sacramento, Phoenix and finishing up with the Pan Ams in March. We are so proud of her and her awesome efforts in the gym, and know that this is just the beginning for her. Congratulations Maria! On Saturday, February 2, The MMA Lab had a student appreciation party. There was free food from Mixteca and Rubios, music by our own Reynaldo Moreno, and some Brazilian Jiu Jitsu belt promotions. 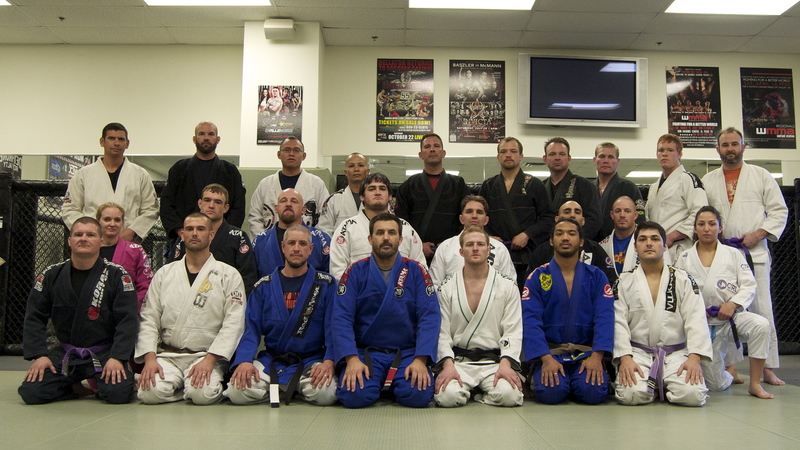 It is with great pride that we announce our newest promotions in the JCBJJ family. Three new purple belts were given their promotions on Saturday: David Brady, James Strang and Maria Magana. All three of these guys have been training hard and we are very excited for them to begin their purple belt journey. Congratulations! Two brand new black belts were also given to Santino Defranco and Colin Morrison. Colin has been training for over 13 years and was one of the first students at the original Mile High Gracie back in Denver. Colin has been a great training partner, teacher and friend for these many years, and it feels great to see him with a Black Belt around his waist. our team since we moved here five and one half years ago. Tino has been on the Ultimate Fighter reality show, as well as coached many fighters that have been in the UFC. It is an honor to give him his Black Belt, and we look forward to many years of collaborating together in our passion for this sport. To all these wonderful people: Thank you! You have been great students and ambassadors for our sport, and, more importantly, you are wonderful people to work with. Congratulations to all, well deserved!